Unbroken starring Jack O’Connell, Domhnall Gleeson, and Garrett Hedlund. In a span of about two years, Louis Zamperini was in a plane crash, stranded on a lifeboat for over a month, and was tortured in multiple Japanese Prisoner of War camps. Unbroken follows his story, which begins with him as a young delinquent and then as a track star who eventually makes it to the 1936 Olympics in Germany. He was on a rescue mission with a few other men during WWII when his plane went down over the ocean. What followed the crash is the main focus of the movie and how one man never seemed to lose hope and how sheer determination allowed him to survive an ordeal that hurts just to watch on the movie screen. Unbroken is slow and you feel almost all of the 137 minutes; however, it is still worth watching even just to see Zamperini’s story unfold and learn what it’s like to truly appreciate life. There are two main parts to this story – the lifeboat ordeal and the POW camp experience that immediately followed. The weeks spent on the lifeboat with two other men is where you really get to know Louis and see him as a likeable, caring, and resourceful young man with an almost unmatched will to survive. After breaking the record for the most days spent stranded at sea, they are “rescued” by the Japanese and face a completely different challenge. The fact that he survived both is pretty unbelievable, especially when a sick guard seemed to really have it out for him in the camp. For a group of newcomers, the acting is quite good. There are a few familiar faces whose names you likely don’t remember, such as Domhnall Gleeson (Anna Karenina, About Time), Jai Courtney (Jack Reacher, A Good Day to Die Hard, Divergent), and Garrett Hedlund (Troy, Four Brothers, On the Road, Inside Llewyn Davis) but this is definitely the breakout movie for the lead actor Jack O’Connell. Both he and Domhall Gleeson lost a significant amount of weight for the sake of their roles and their performances seemed genuine and believable. The biggest surprise Unbroken has to offer is the fact that it was written by Joel and Ethan Coen. These brothers are best known for their quirky humour, clever banter, and generally movies that don’t tend to appeal to the masses (Fargo, The Big Lebowski, No Country for Old Men, Burn After Reading). This seems to be a totally new territory for them and it’s really difficult (if not impossible) to see any of their typical style in the script – it’s not funny, it’s not satirical, and it has no big-name actors. Even so, it’s a job well done for a serious biography-style film and Angelina Jolie did the story justice as a Director. 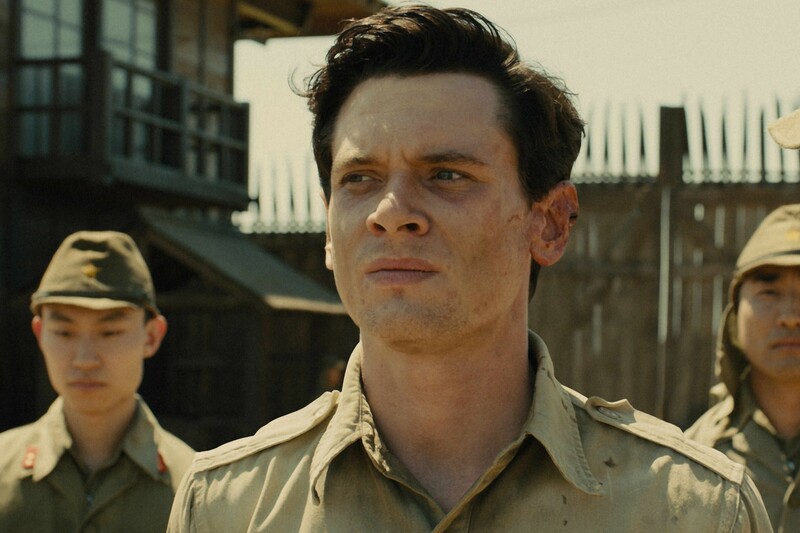 Although Unbroken received applause in the theatre upon conclusion (which is relatively rare) it didn’t quite hit the expected homerun for a release this late in the season. The audience who will enjoy this movie the most are likely the older generations who have longer attention spans and a deeper connection to WWII. The younger generation will be happy they saw it and will potentially complain about life a little less afterwards, but will ultimately find it a little more forgettable. Regardless, the name Louis Zamperini will live on and those who see it will definitely remember his remarkable story – which is the whole point, anyway.